Duck decoys have lived many lives, making the flight from practical hunting tool to high-end decorative pieces. Back in the 18- and early 1900s, duck hunting was a very profitable occupation. With ducks being considered a delicacy at restaurants, hunters would shoot ducks by the hundreds and make a healthy living. To attract such a high number of ducks, hunters would throw hundreds of crudely constructed decoys into the water to imitate a flock. As duck hunting increased in popularity, so did the quality of the decoys. When Native Americans first taught hunters the art, the decoys were made out of reeds and colored with ash. When wealthier folk joined the hunter, the market for higher-quality decoys skyrocketed and the regular hunters could make good money selling hand-carved wood decoys. Today, decoys have continued to grow more artistic in nature. 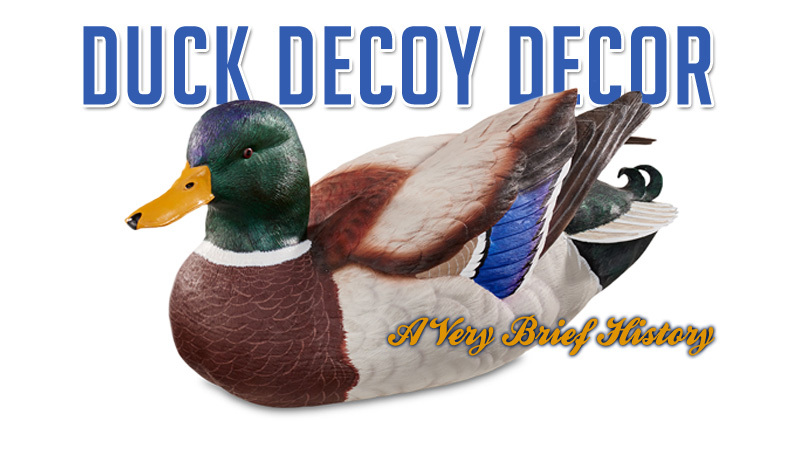 For duck hunters and duck lovers alike, a decorative duck decoy is a must-have piece of decor.